In author Linda Vander Heyden’s newest picture book, called Hannah’s Tall Order: An A to Z Sandwich, learning the alphabet was never yummier! 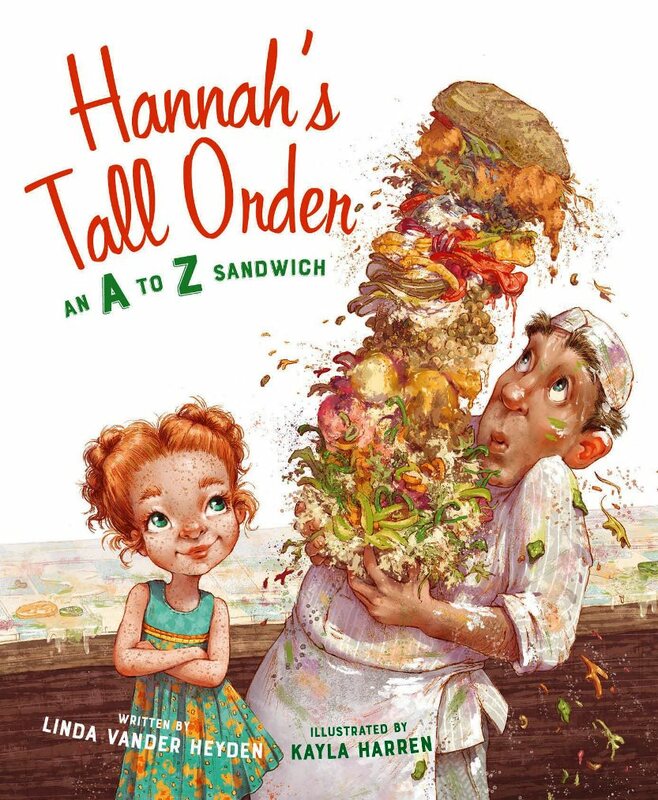 In the book, freckle-faced Hannah, the little girl with the BIG appetite, decides to visit McDougal’s for a sandwich and proceeds to list twenty-six ingredients (one for each letter of the alphabet) to be piled on top of thick wheat bread. Poor Mr. McDougal is obviously acquainted with Hannah because he gulps and says, “Oh, no, she’s coming inside!” But like any sandwich shop owner worth his salt, he aims to please and proceeds to slice, dice and chop a mountain-of-a-sandwich for the little girl with the enormous imagination — and appetite. He piles on everything from chips, peppers and marshmallows to tomatoes, yams and xouba fish — all in alphabetical order, of course. Ms. Heyden’s rhyming ability is something to behold (or should that be, something to HEAR). Her rhymes are precise, the meter is on point down to the very last beat, and the story line is just…well, funny! In fact, her writing style is wonderfully reminiscent of that rhyme-master we all know and love, Dr. Seuss. Kayla Harren’s illustrations are adorable, and capture some of the funniest expressions you can think of — like the dread and resignation on McDougal’s face when he sees Hannah preparing to enter his shop, and the other shop patrons’ expressions as they witness the construction of the world’s largest and most diverse sandwich ever made. This one should be perfect for teaching examples of humor. It is guaranteed to whet many appetites if it’s read aloud just before lunch, and it can even be used as a “how to” exercise to inspire children to write about what goes into their own favorite sandwiches. Thanks so much for stopping by Picture Book Depot. Oh yes, I truly LOVED this book. It kept me turning those pages and smiling to the end. I look forward to reading your books in the future. Nobody Can Resist Picture Book Depot! Why? 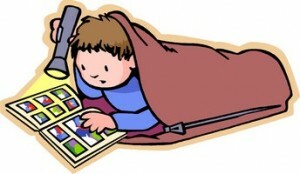 Because Everybody Loves a Good Picture Book!"